There are 2 manufactured homes on property. 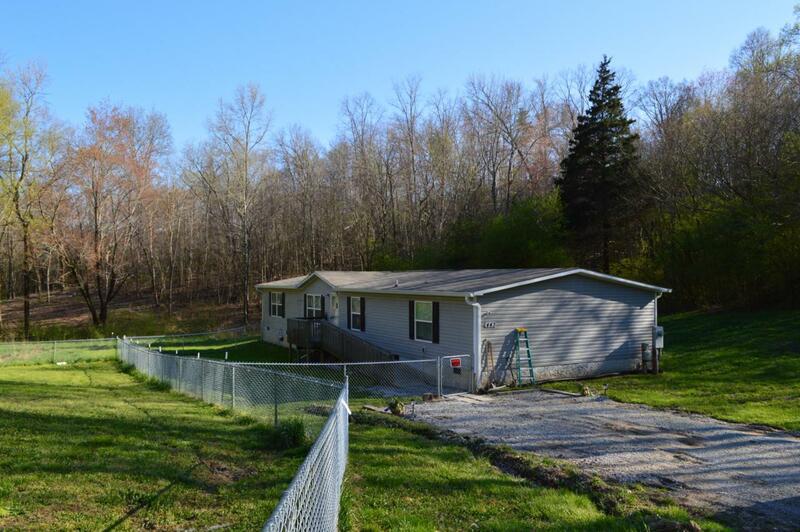 One (address - 443) is 2014 Square feet with 4 bedrooms, 2 baths, living & dining room combined, separate den,laundry room, master bedroom w/large walk in closet, front porch w/ramp across, plus a deck. The second home (435) is a 1994 home with 1704 sf, 3 bedrooms, 2 full baths, laundry room, master bedroom with 2 walk-in closets, garden tub, separate shower, 2 separate sinks, and a gas fireplace,(presently not working), hardwood floors in the living room, and dining room,and new metal roof.These manufactured homes are on 4.71 acres. Both of these homes would make good rental property. You can live in one and rent out the other.